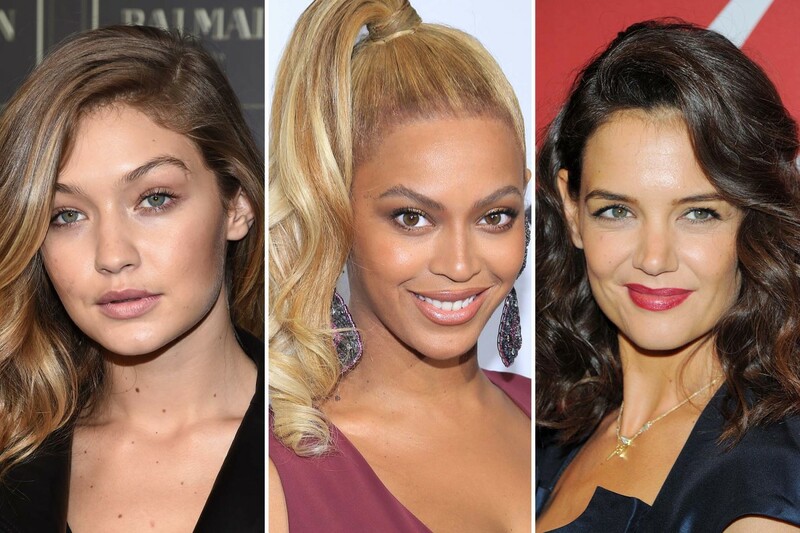 Lots of celeb beauty coming your way! Lately, there have been so many events: the Balmain x H&M launch, the Night of Stars Gala, the Veuve Clicquot Polo Classic and of course, the Tidal X concert, where Beyoncé totally stole the show. Beyoncé at the Tidal X 10/20 Benefit Concert in 2015. 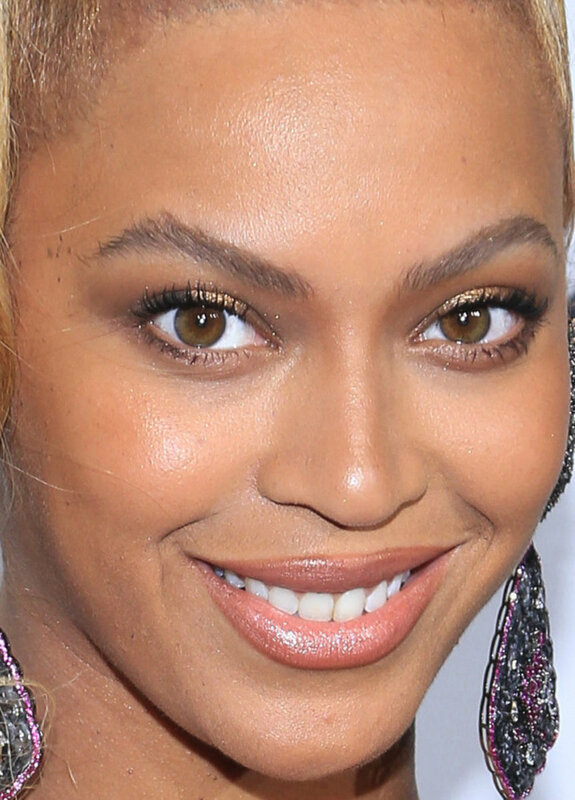 Close-up of Beyoncé at the Tidal X 10/20 Benefit Concert in 2015. It&apos;s wrong, but it&apos;s SO right. 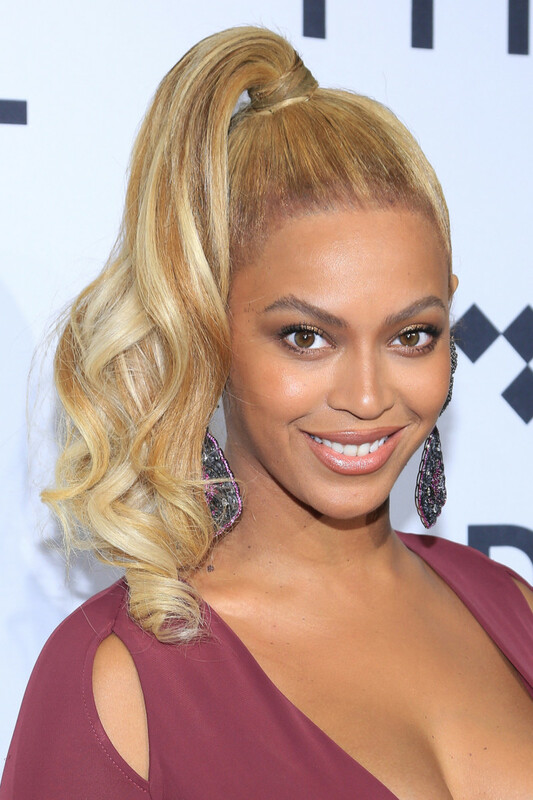 Beyoncé continues to make the &apos;80s high ponytail aspirational—first at the Met Gala, and now here. Her dangly earrings, maroon dress and matching fur stole (a stole!!) is making me love this even more. Makeup is on point; I won&apos;t fault the lip liner because the natural lashes and gold shadow are fabulous. Gigi Hadid at the 2015 Balmain x H&M collection launch. 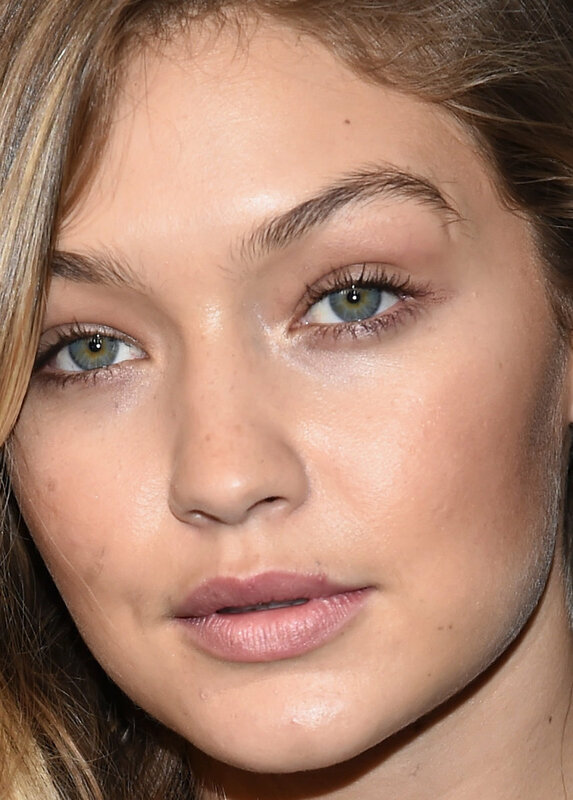 Close-up of Gigi Hadid at the 2015 Balmain x H&M collection launch. HOW is Gigi so pretty?! Even with a cold sore (I think?) she is still the most beautiful creature. The contoured cheeks actually work here, giving her basically bare face a more sculpted look. Her hair is ridiculously gorge. Katie Holmes at the 2015 Night of Stars Gala. Close-up of Katie Holmes at the 2015 Night of Stars Gala. Naomie Harris at the 2015 London photocall for &apos;Spectre&apos;. 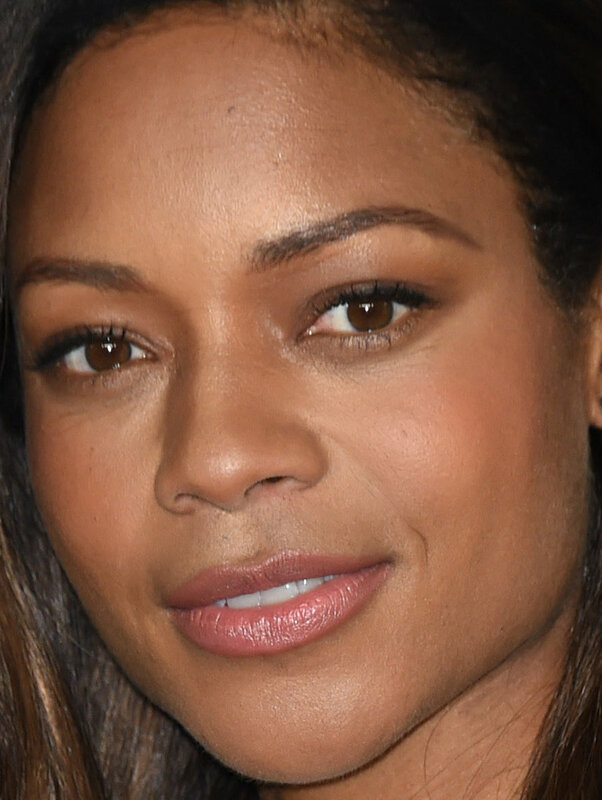 Close-up of Naomie Harris at the 2015 London photocall for &apos;Spectre&apos;. Sooo gorgeous. Naomie has never looked better! For me, this is all about the harmony between her creamy caramel complexion and the matching highlights in the bottom half of her hair. And we can always count on Naomie to give us falsie-free lashes. Jessica Biel at the 2015 Night of Stars Gala. Close-up of Jessica Biel at the 2015 Night of Stars Gala. We haven&apos;t seen Jessica since last year&apos;s Oscars! She is looking great. Maybe a little injected (?) but great. I love this simple beauty look of smooth, curled-under ends with natural makeup to bring out her green eyes. Once again, no falsies, and that pale peachy-pink lipstick is calling my name! Léa Seydoux at the 2015 London photocall for &apos;Spectre&apos;. 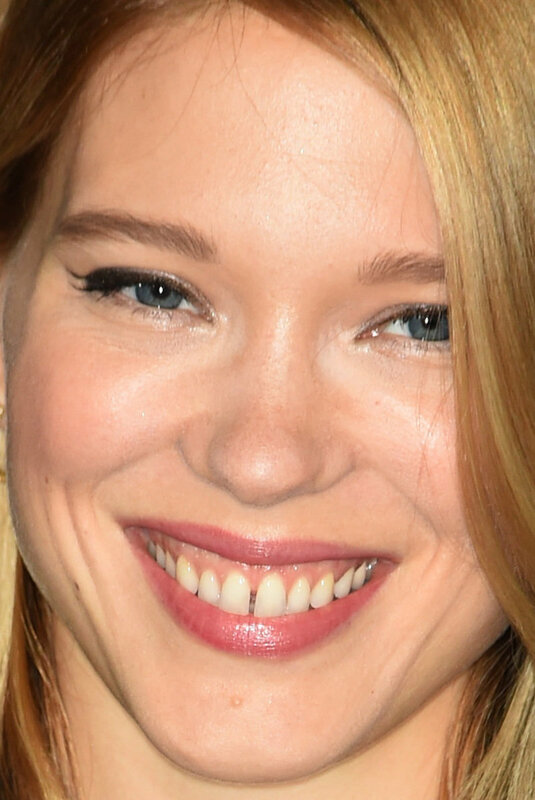 Close-up of Léa Seydoux at the 2015 London photocall for &apos;Spectre&apos;. Diane Kruger at the 2015 Night of Stars Gala. 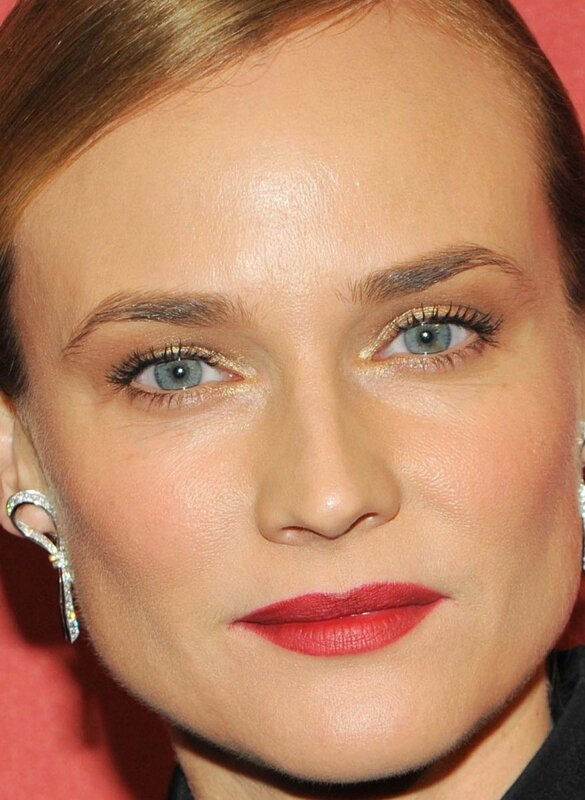 Close-up of Diane Kruger at the 2015 Night of Stars Gala. Diane went for a more severe look this time, but she still pulls it off. The sleek, side-parted updo shows off her bone structure, and her makeup is bold but not overdone. 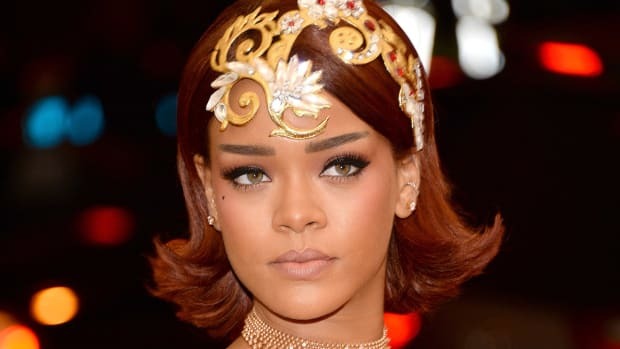 The red lips and gold eyeshadow make her eyes pop, with soft brown up to the brows to sculpt the lids. Camilla Belle at the 2015 Veuve Clicquot Polo Classic. Close-up of Camilla Belle at the 2015 Veuve Clicquot Polo Classic. I promise you, this photo is not retouched. Camilla&apos;s skin is THAT good! I&apos;m also swooning over her matte pink lipstick, high ponytail and big brows, as always. She nailed this 1,000 percent. Alexa Chung at the 2015 Balmain x H&M collection launch. Close-up of Alexa Chung at the 2015 Balmain x H&M collection launch. Speaking of great skin, Alexa&apos;s is beyond flawless as well! Chunky mascara and a creamy red lipstick are her only adornments—plus full, natural brows. Were they always this big? I feel like she has grown them out more, and I like it! Jaime King at the 2015 Veuve Clicquot Polo Classic. Close-up of Jaime King at the 2015 Veuve Clicquot Polo Classic. Nice to see Jaime in something softer, after last week&apos;s gelled hair and bold red mouth. This peach lipstick is totally reminding me of the Nūdus Fairy Tales shade I just reviewed. The same tone echoed in her eyeshadow is really pretty. Elizabeth Olsen at the 2015 Nashville premiere of &apos;I Saw the Light&apos;. Close-up of Elizabeth Olsen at the 2015 Nashville premiere of &apos;I Saw the Light&apos;. I love this new thing of wearing burgundy tones on lips and eyes. Elizabeth&apos;s colour palette is more of a soft berry, but it&apos;s the same idea, and really brings out her big grey-green eyes. The blending of the eye makeup is superb. Kate Winslet at the 2015 London premiere of &apos;Steve Jobs&apos;. Close-up of Kate Winslet at the 2015 London premiere of &apos;Steve Jobs&apos;. I&apos;ve been a bit bored with Kate&apos;s red carpet updo looks, but I actually like this one. Maybe it&apos;s that you can see her high blonde bun at the top? The baby cat eyes also lift her face, and the barely iridescent gloss is quite youthful. Lady Gaga at the 2015 National Arts Awards. Close-up of Lady Gaga at the 2015 National Arts Awards. Call me crazy, but I like what Gaga is doing here! Yes, it&apos;s still "out there," but instead of being weird/crazy, it&apos;s hyper-feminine. The red lips, &apos;40s waves, floral dress and curvy earrings are a great look for her. Lauren Conrad at the 2015 Veuve Clicquot Polo Classic. Close-up of Lauren Conrad at the 2015 Veuve Clicquot Polo Classic. Lauren is the Jennifer Aniston of her generation. She found her beauty formula and she sure does stick to it! The only that changed is the length of her hair; otherwise, she&apos;s still working the cat-eye flicks, golden waves, sun-kissed skin and sheer lip gloss. Sienna Miller at the 2015 New York premiere of &apos;Burnt&apos;. Close-up of Sienna Miller at the 2015 New York premiere of &apos;Burnt&apos;. 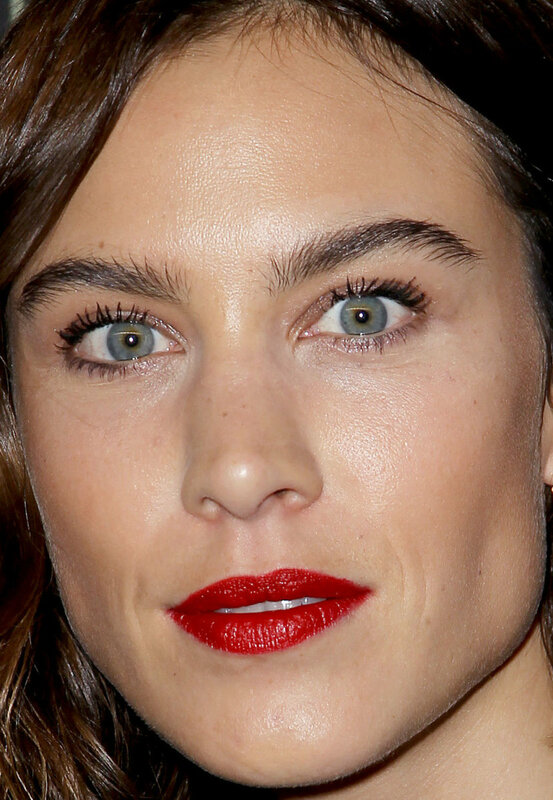 On the one hand, I SO appreciate that Sienna doesn&apos;t cake on the makeup (well, most of the time), and that she does that Alexa Chung textured thing with her hair. But... her hair and her skin tone are both so yellow here! Let&apos;s hope it&apos;s just the lighting. Victoria Justice at the 2015 Veuve Clicquot Polo Classic. Close-up of Victoria Justice at the 2015 Veuve Clicquot Polo Classic. Another week, another Victoria pic! This is as low-key as her makeup gets. This time, her skin looks especially flawless, and I love that berry lip. It would be even better without the lashes, but I think they&apos;re her beauty crutch. Kirsten Dunst at the &apos;Fargo&apos; panel at Paleyfest 2015. Close-up of Kirsten Dunst at the &apos;Fargo&apos; panel at Paleyfest 2015. Kirsten looks adorable, especially her hair. (Her hair has been VERY good lately.) I love the effortless vibe of the piecey bob with the low-key makeup. With natural lashes, subtle shadow and bare-ish lips, she looks like a pretty girl you might see on the street... just more polished. Selma Blair at the 2015 Veuve Clicquot Polo Classic. 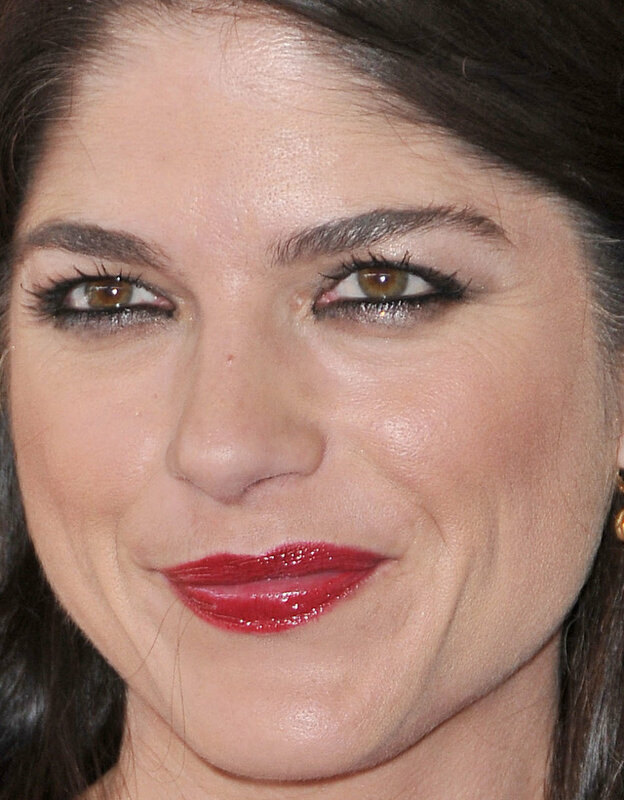 Close-up of Selma Blair at the 2015 Veuve Clicquot Polo Classic. I like Selma&apos;s half-up hair, and how insanely shiny it is. Also, her skin is great. I&apos;m a bit on the fence about the shiny red lipstick and the smudgy black eyeliner... but I think it basically works, without feeling too heavy. Jennifer Lopez at the 2015 New York premiere of &apos;Rock the Kasbah&apos;. Close-up of Jennifer Lopez at the 2015 New York premiere of &apos;Rock the Kasbah&apos;. Funny how the best JLo has looked in a while is when she&apos;s wearing glasses. These frames are so cool! Also, we can&apos;t see her eye makeup—which, based on past experience, is a good thing. Still some lip liner weirdness, but her skin looks fantastic. Ellie Goulding at the 2015 Balmain x H&M collection launch. 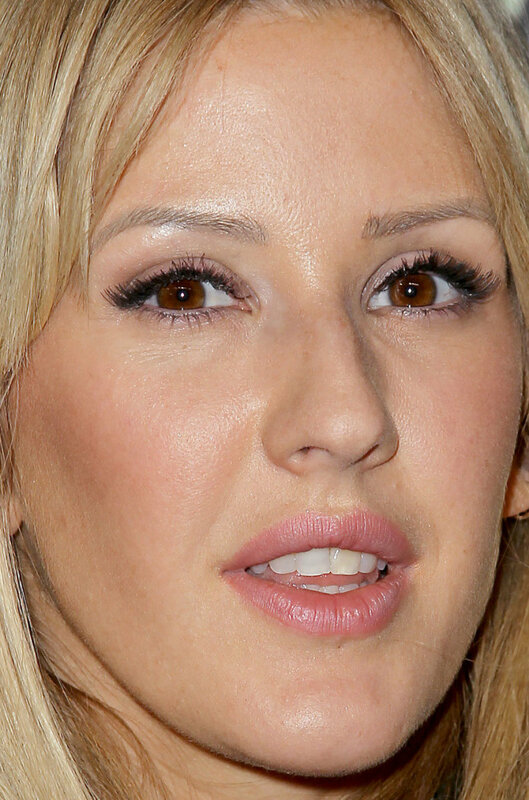 Close-up of Ellie Goulding at the 2015 Balmain x H&M collection launch. Ellie looks pretty cute, even with the false lashes (which I&apos;d have skipped). I always like her in a pale pink lip and blush, which go beautifully with her brown eyes, warm skin and blonde hair. Her brows look a bit threaded, so would be great to see her grow those out. Ashley Madekwe at the 2015 Veuve Clicquot Polo Classic. 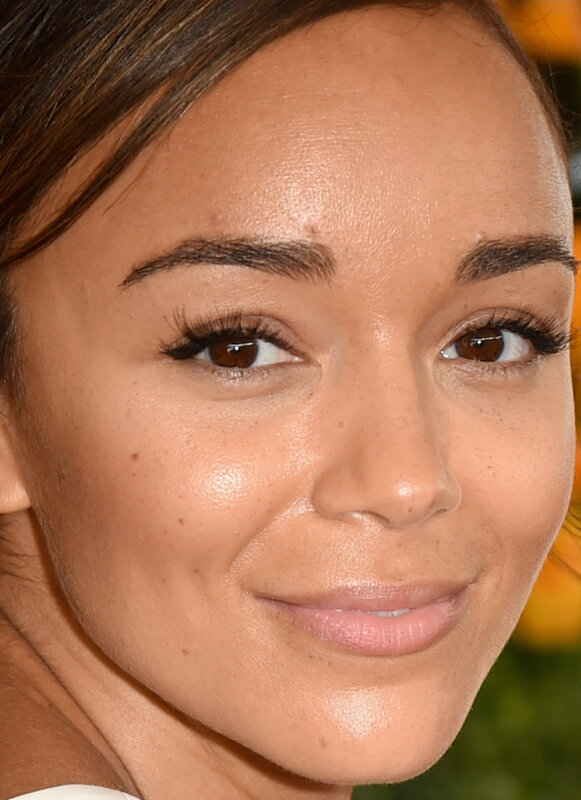 Close-up of Ashley Madekwe at the 2015 Veuve Clicquot Polo Classic. As usual, Ashley&apos;s skin is the standout: it looks flawless and so dewy. The less makeup she wears, and the sleeker her hair, the better. Only issue here is that one wonky long eyelash. Vanessa Hudgens at the 2015 Guitar Hero Live launch party. Close-up of Vanessa Hudgens at the 2015 Guitar Hero Live launch party. Vanessa&apos;s eye makeup is so heavy, but still kind of intriguing, am I right? I kind of like the feline shape it gives, and how she paired it with an unexpected bronzey lipstick. I still want her to go back to the lob, and her foundation shade is a fraction too light. Michelle Trachtenberg at the 2015 Veuve Clicquot Polo Classic. Close-up of Michelle Trachtenberg at the 2015 Veuve Clicquot Polo Classic. Michelle&apos;s eye makeup is always mesmerizing. This time, it&apos;s bold yellow-gold under the lower lash lines, with classic black liquid liner on the upper lids. Then she mixed warm with cool tones by adding the pale pink lipstick and blush. Where it falls apart is her eyebrows. Not only are they too light for her hair colour (or vice-versa! ), but the pencil is too red. How I wish she would just dye her hair a nice medium brown! 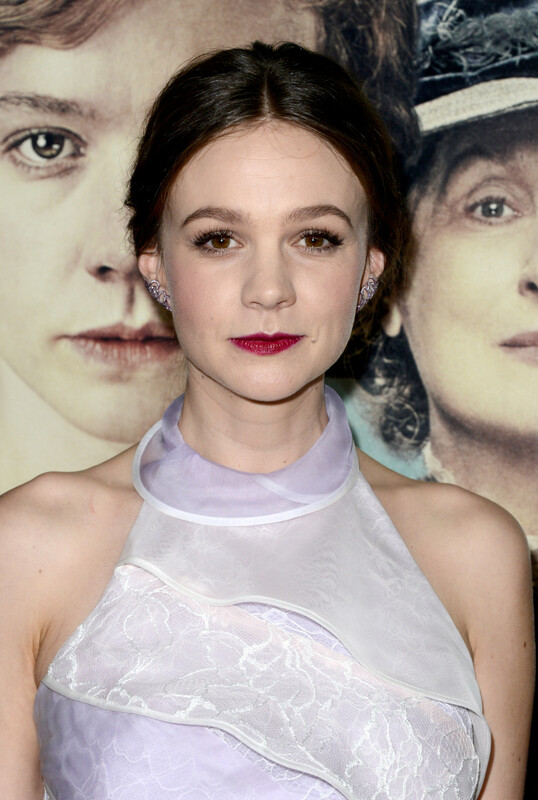 Carey Mulligan at the 2015 premiere of &apos;Suffragette&apos;. 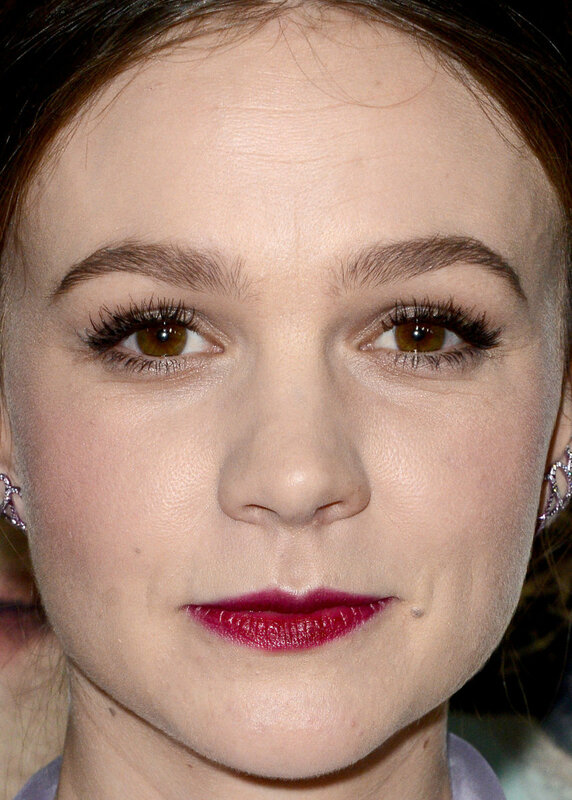 Close-up of Carey Mulligan at the 2015 premiere of &apos;Suffragette&apos;. Darn, why is Carey wearing these dark lipsticks lately? They don&apos;t suit her, and are aging, in my opinion. The poufy, centre-parted hairstyle is problematic also. I&apos;d part her hair deep on one side and give her a sheer lip gloss, natural lashes and less powdery skin. Sarah Silverman at the 2015 premiere of &apos;I Smile Back&apos;. Close-up of Sarah Silverman at the 2015 premiere of &apos;I Smile Back&apos;. Let&apos;s face it, we are the only ones looking at Sarah&apos;s face in this outfit! 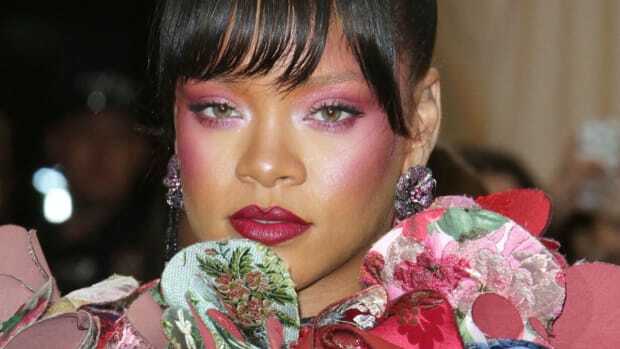 She went for her usual bright pink lips and cheeks, which are great on her, but we&apos;ve seen them many times before... why not mix it up with some other shades? Also, she doesn&apos;t need to go so heavy on the blush application or the false lashes. The woman has great brows, which already frame her face. Nina Dobrev at the 2015 Veuve Clicquot Polo Classic. Close-up of Nina Dobrev at the 2015 Veuve Clicquot Polo Classic. Zooey Deschanel at the 2015 New York premiere of &apos;Rock the Kasbah&apos;. Close-up of Zooey Deschanel at the 2015 New York premiere of &apos;Rock the Kasbah&apos;. Last up is Zooey.. this IS Zooey, right? When her hair&apos;s off her forehead, it&apos;s so hard to tell. Poor thing, she can&apos;t ever leave the house without her signature heavy bangs or the public revolts. I do think the bangs suit her far more, and make her look younger. I feel like her styling was so much better—and more fun!—back in 2012. Remember that Zooey? !